Vetiver (Vetiveria zizaniodes) also called khus khus, is a perennial scented grass. It has a straight stem, long narrow leaves and grows in tufts, reaching a height of 2 meters. 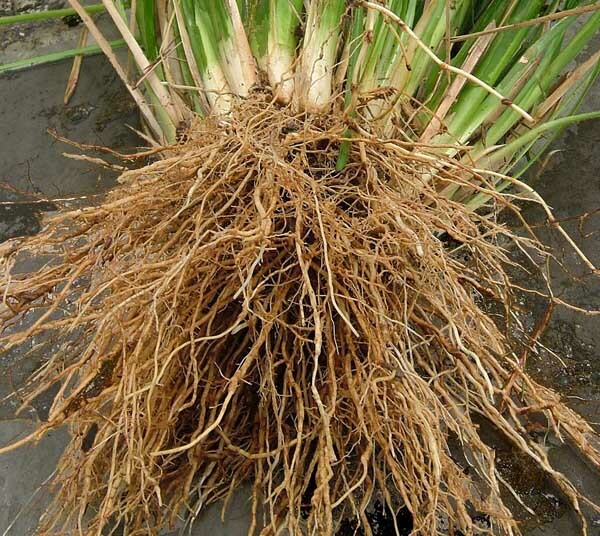 It has abundant white scented rootlets.Vetiver is native to South India, Indonesia and Sri Lanka, but is cultivated in the Comoros Islands, Reunion, Java and Haiti. In India and Sri Lanka the essence is known as The oil of tranquility. The fibrous grass is used for many different purposes; as protection against soil-erosion during the tropical rainy season, as pest and weed control in fields and to protect domestic animals from vermin. 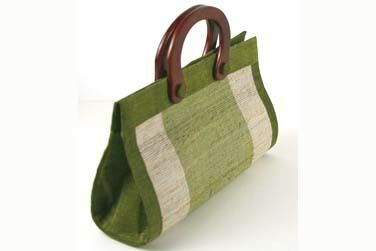 In 19th century Calcutta the rhizomes of Vetiver was manufactured into awnings, blinds and sunshades. During the hot season water was sprinkled over them which cooled the room while perfuming it. This made vetiver a very popular scent in Britain as it reminded the former British dwellers in India of the colonial times. At the time it was also used for perfuming linens and preventing moth. Ground rhizomes were used to manufacture sachet powders. Vetiver is widely used in perfumery. It has excellent fixative qualities (binding and stabilizing more volatile essences in a perfume blend). It imparts a woody, slightly earthy, green scent to the finished blend. The essential oil of vetiver is obtained by steam distillation of the washed, chopped and dried roots and rootlets. It is a viscous oil with an amber to brown, olive colour that deepens and turns reddish-brown with age, the scent is deep, smoky, woody and earthy with a touch of green freshness. 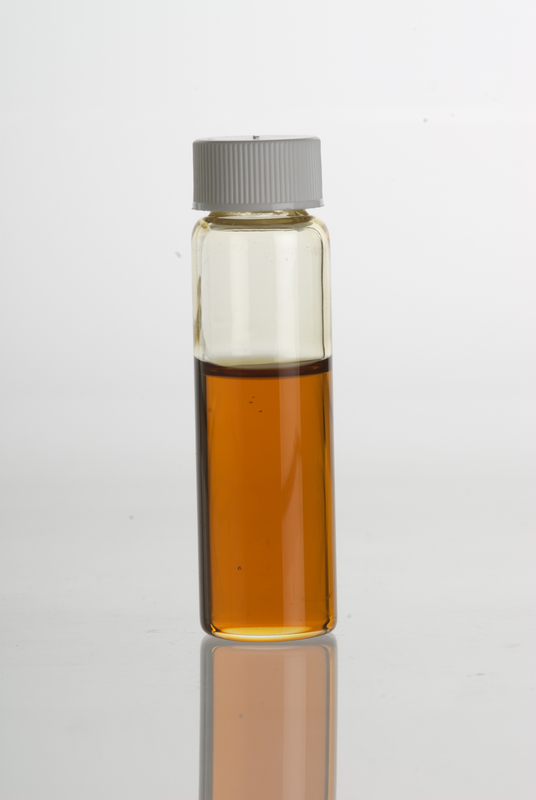 The best quality oil comes from Reunion and is called Bourbon Vetiver. Muscle: Anti-inflammatory, arthritis, muscular aches and pains, rheumatism, sprains and stiffness. Nervous system: Depression, nervous tension, sleeping problems, stress, PMT. Personal: I love this beautiful oil. It is safe to use with children, elderly or the very ill. It is deeply relaxing without being sopoforic rather, it brings you back into yourself and gives a feeling of calm assurance. I used it together with Rosewood (Aniba rosaeodora) for a nap when I was pregnant and to this day it was the most glorious sleep-time I ever had 🙂 I use it for clients mainly when they seem to be “outside of themselves” and can’t find peace and balance. Vetiver is deeply grounding and nurturing in nature. It is often well-liked by children and helps them to calm down when upset. I think the deep earthy scent reminds them of playing outside in the park or forest and it brings them to a happy place. When I think of scents, there is a whole world opening up in me; scents are the embodiment of history, every single story told and untold. They evoke mystery and adventure, they are the whiff of faraway lands, dreams and colors, displaying a whole array of emotions and music within. Scents are truly Grace. In the bible, poems and other written work through history we can find recipes for perfumes and scents that were used at the time. By recreating them we get an idea of the evolution of perfumery. Every century had its own “scent-fashion” and it has changed over time. 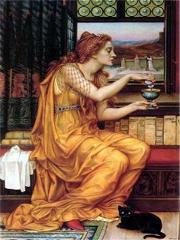 Some of the perfumes, or scents, from ancient times would not be very popular today. At the time much of the known perfumes were connected to religious ceremony since scented matter oftentimes was costly and difficult to come by. By offering these expensive and evocative perfumes to the God(s), people hoped that the gods would be benevolent towards them. The earliest perfumes were usually made from resins and woods, mixed into fat and then burned or anointed. Little by little, over time, the art of securing the evocative and fleeting scent of flowers was found and has been perfected ever since. Today lots of synthetics and alcohol is used in perfumes which somewhat takes away the “heady emotional reaction” to a scent, though the pleasure of it is always there. 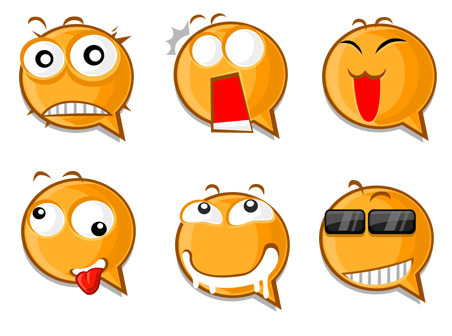 Everybody reacts on scents in some way, even anosmic people. Scents evoke memories, even long-buried ones, to be brought forth in vivid detail; matter might desist, but scents remain forever. 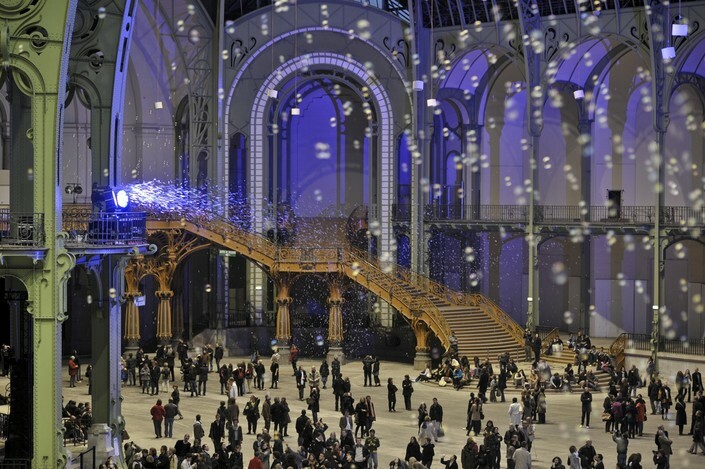 On May 15 from 7 pm until 1 am the Grand Palais opened their doors to allow, for the first time, the public free access to the whole building. Perfumer Francis Kurkdjian created a collection of scented bubbles that were released in the nave by bubble-blowing machines. The air was filled with scented bubbles, releasing their floral, fruity, herbal and honey fragrances when popped. A magical scene with a soundscape specially created by Béatrice Ardisson. The NoctamBulle was experienced by 23 000 visitors. Ever since I can remember I have perceived my world largely through the sense of smell. I smell everything! As a little child I could find my way home, eyes closed, just by smelling. My siblings teased me and said I was a dog. 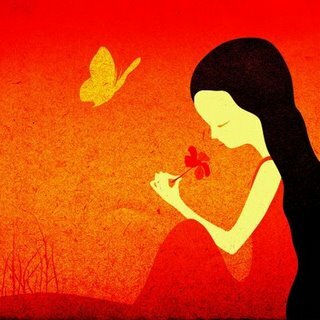 Sometimes I thought that if I would go blind, I could probably make it in the world anyway, just by smelling. I lived my first 7 years in Japan, then moved to Sweden. These countries smell very different, and the first months in Sweden I was busy sorting the scents… Over time and travels I have found that every country has its own scent, even cities. The metro in Paris has a smell like no other metro in the world, though the London underground has a touch of it. (This memory is from a trip to Paris when I was 11). At 18, I visited with friends in New York. They took me to China Town where I was hit by such an enormous wave of memories and emotions from my (by now half-forgotten) early childhood in Japan. I was in pieces, seldom have I experienced anything so strong. One day when I went shopping with my little son, aged 8, we went to the cash-machine to get money. While I am putting away the money, my son asks me: “Mami, first you smelled your card before you put it in the machine, and then you smelled it when it came out. What do you think the machine did to your card?” I don’t notice that I smell things, I just do it. There is no such thing as a bad smell, it’s all information. A “bad smell” usually means something is rotten, ill or poisonous – very important information. The oil of hops (humulus lupulus) is the oddest-smelling essential oil I have ever come across, its scent is on one hand beautifully floral and sweet and behind that scent it smells like natural gas. Black pepper (piper nigrum) smells like peppercorns, but behind that there is this ethereal floral scent. Our senses give us the emotional experience of living, but I think that scent is the most subtle of them all. So start paying attention to what you smell and feel – it will take you on a most astonishing journey…Enjoy! A hydrosol (also called hydrolate) is the condensate water produced during steam-distillation of plant material for aromatherapeutic purposes. In distillation of plant material for essential oil, water-steam is pressed through the plant material which releases all chemical molecules light enough to travel with the steam. From there it goes to a condenser where the steam is cooled down to form water and essential oil that separate upon cooling, with the EO usually floating on top of the water. The resulting water is an unique product as it contains all light-weight water-soluble substances + tiny amounts of essential oil (approximately 0.2%), but none of the heavier water-soluble substances. This is quite different from an infusion where all the water-soluble substances stay in the water, including some plant material and other heavier substances. Hydrosol means “water solution” and comes from the Latin hydro (“water”) and sol (“solution”). Hydrolate means hydro (“water”) and late from the French lait, meaning milk. Supposedly this name stems from the fact that often the hydrosols are slightly milky when they first come out of the stills. Sometimes the word Floral Water is used which I find misleading; hydrosols come from all aromatic plants, not only flowers. 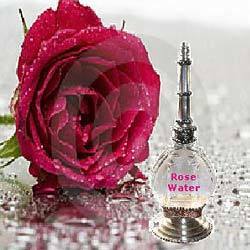 Very often a floral water is water scented with essential oil or synthetic fragrance in which case it is something entirely different. Therefor I prefer to stick with the word hydrosol. A Hydrosol has a life-span of 1-3 years, depending on the original plant and storage. Hydrosols need to be stored in cool and dark places – the fridge is perfect. They should be distilled from organically grown plants and bottled without preservatives. The label should clearly state the name of the plant from which it was distilled, including the latin name, when it was distilled and if it is organic. 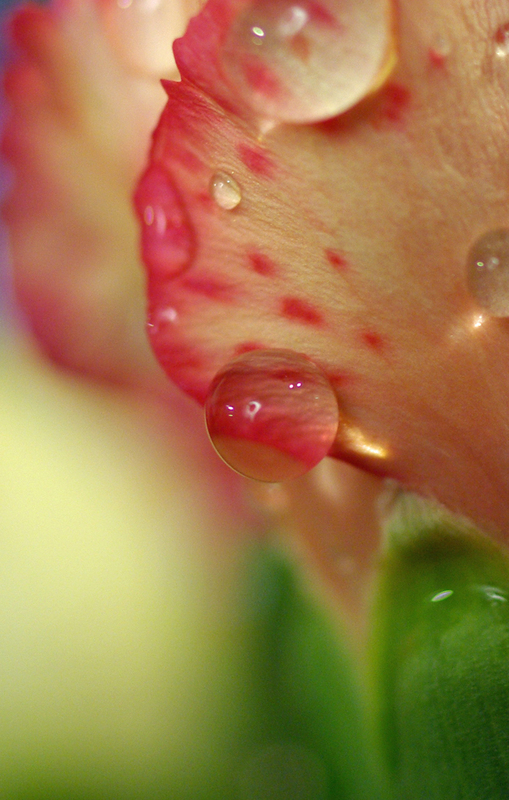 A Hydrosol is primarily acidic, with a pH of 3.6-6.0, making it ideal for skin & personal care. It is mild enough to be used safely by most anybody – aged, sick and weak individuals as well as babies and children. Use it as a tonic for your skin, taste-enhancer in cooking and baking, to wash wounds, sooth burns and inflammations…The possibilities are endless. Tonifying water for skin: Wipe your skin with hydrosol on cotton balls after cleansing: dry, mature skin: Hydrosol of lavender or rose. Oily blemished skin: Hydrosol of orange water, witch hazel, Rosemary. Use Hydrosol in a spray for a guick freshen-up during the day (brilliant when traveling). Just spray a fine mist onto skin and let dry. You can even do this when wearing make-up. Sun-burn: Spray the area with Hydrosol of Lavender (soothing) or Mint (cooling). Apply Aloe Vera Gel. Works also for itchy skin and hot flashes. Disinfectant for air and hands while traveling; spray in the air, on your hands, on tissue. Drinks; add 5 ml of hydrosol to 200 ml of water for a refreshing drink. A dash of Rose hydrosol in some champagne – very luxurious – or white wine as an aperitif. Use when baking cakes, cookies and pastries. (Do not mistake Hydrosol for the “floral waters” you can buy in asian markets. These “waters” are usually synthetically enhanced water.) Always check the label. If you want to know more about hydrosols and their uses, this is an excellent read: “Hydrosols, the next aromatherapy” by Suzanne Catty. We all get them; mood-swings. They usually kick in when we least of all expect it, and isn’t it strange that they only go in one direction…down? Or maybe we do have positive mood-swings, sudden bursts of inexplicable joy and happiness – of course we do, but they aren’t a problem, they are pure bliss. But the other ones; irritation, sadness, anger, impatience….the nasty lot, when they kick in it can get really bad, not only for ourselves but also for those around us. This way of using oils is a for temporary measures – mood-swings – if the situation doesn’t change and the mood doesn’t “swing back”, you should see a certified aromatherapist for more profound help. PMS (pre-menstrual syndrome) and other hormonal issues (women): Geranium (pelargonium graveolens), Clary Sage (salvia sclarea). Sad and gloomy: Bergamott (citrus bergamia), Orange (citrus sinensis), Mandarine (citrus reticulata). Sluggish and slow: Rosemary (rosmarinus officinalis), Lemongrass (cymbopogon citratus), Peppermint (mentha piperita), May Chang (litsea cubeba). Cold and lonely: Cinnamon (cinnamomum zeylanicum), Marjoram (origanum majorana). There are so many useful oils for each description, the list goes on and on. These are a few of the most common oils that are also quite versatile, therefor making them a good buy for your home aromatherapy kit. Try the oils to find the one that fits you the best. The best way to use essential oils for mood is by inhalation: Place 1-2 drops on a handkerchief and inhale deeply as needed. You can carry it with you during the day. When home, bathing is a wonderful way of relieving emotional imbalances. Make sure you rest after the bath. Washington, July 12 (ANI): Archaeologists in Italy have discovered a 2,000-year-old cream, left almost intact in the cosmetic case of an aristocratic Etruscan woman. The lotion, which was discovered four years ago in a necropolis near the Tuscan town of Chiusi, has been revealed now, only after chemical analysis has identified the original compounds of the ancient ointment. The archaeologists found an intact tomb-dating to the second half of the second century B.C.-sealed by a large terracotta tile. The site featured a red-purple painted inscription with the name of the deceased: Thana Presnti Plecunia Umranalisa. 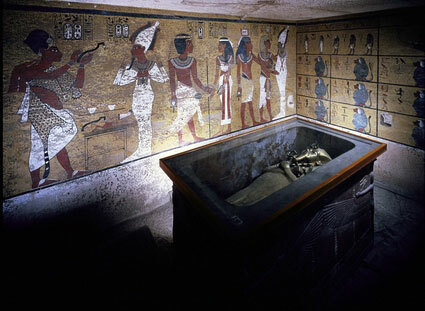 And quite near to the tomb, they found a cosmetic case, richly decorated with bone, ivory, tin and bronze elements. The feet of the box featured bone carved in the shape of Sirens. 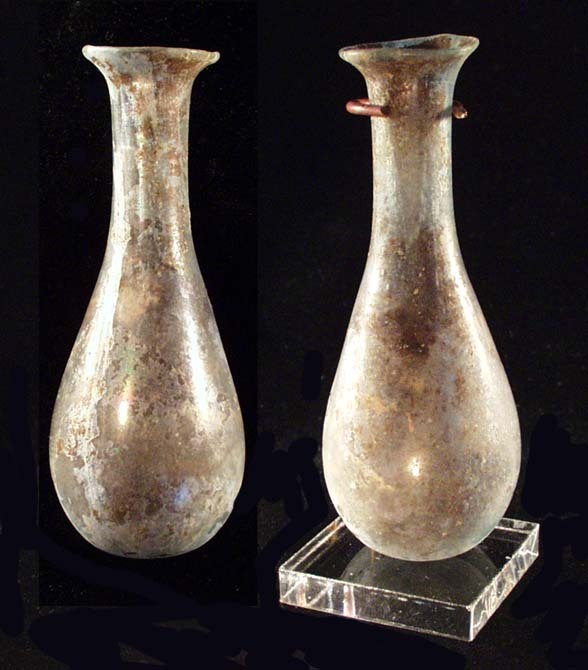 The case was filled with precious personal objects- a couple of bronze finger rings, a pair of tweezers, two combs and an alabaster unguentarium vessel – a vase-shaped jar – of Egyptian origins. “The entire content of the cosmetic case was found under a clay layer which deposited throughout time. This made it possible for the ointment to survive almost intact despite (the fact that) the vessel had no cap,” Discovery News quoted Erika Ribechini, a researcher at the department of chemistry and industrial chemistry of Pisa University, as saying. The ointment, a solid, homogeneous and pale yellow mass, revealed fatty acids in high abundance. “This is almost unique in archaeology. Even though more than 2,000 years have passed, the oxidation of the organic material has not yet been completed. This is most likely due to the sealing of the alabaster unguentarium by the clayish earth, which prevented contact with oxygen,” said Ribechini. The analysis revealed that the contents of the vessel consisted of a mixture of substances of lipids and resins. “The natural resins were the pine resin, exudated from Pinaceae, and the mastic resin, from Anacardiaceae trees. The lipid was a vegetable oil, most likely moringa oil, which was used by the Egyptians and Greeks to produce ointments and perfumes,” said Ribechini. Moringa oil was one of the ingredients in a recipe for a perfume for ancient royalty. Thus, the researchers believe that the lotion was imported.